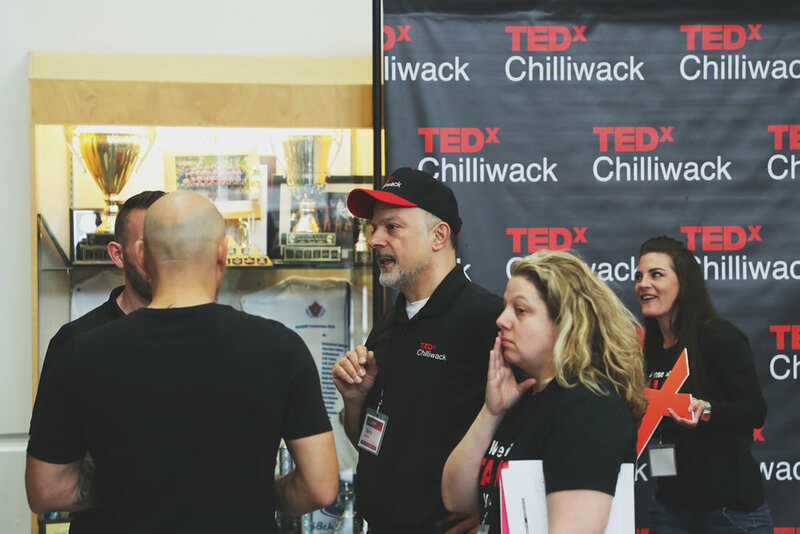 This weekend we attended “TEDxChilliwack: On Purpose”, a year long planning endeavour on behalf of Chilliwack, and we were thoroughly impressed with the contents of the day. 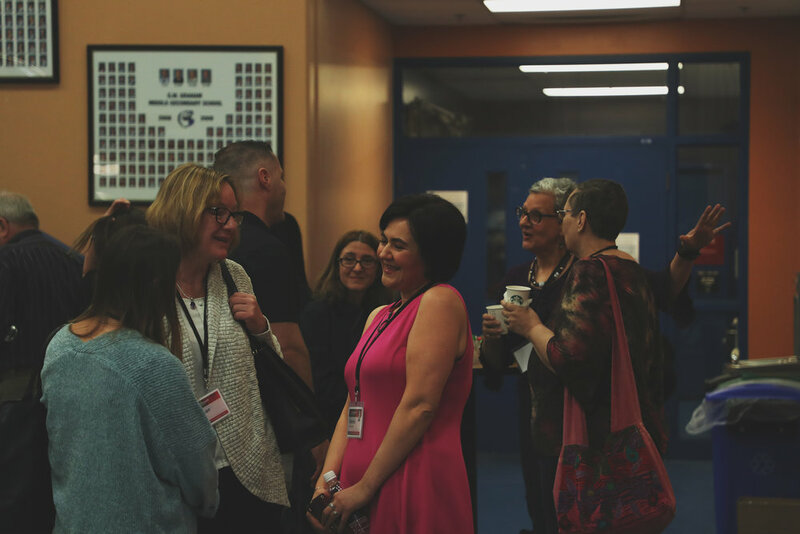 The concept of sitting and listening to 12 speakers in a single day may seem daunting, but once you’re there, engrossing topics presented by those within your local community capture your attention and the day flies by. 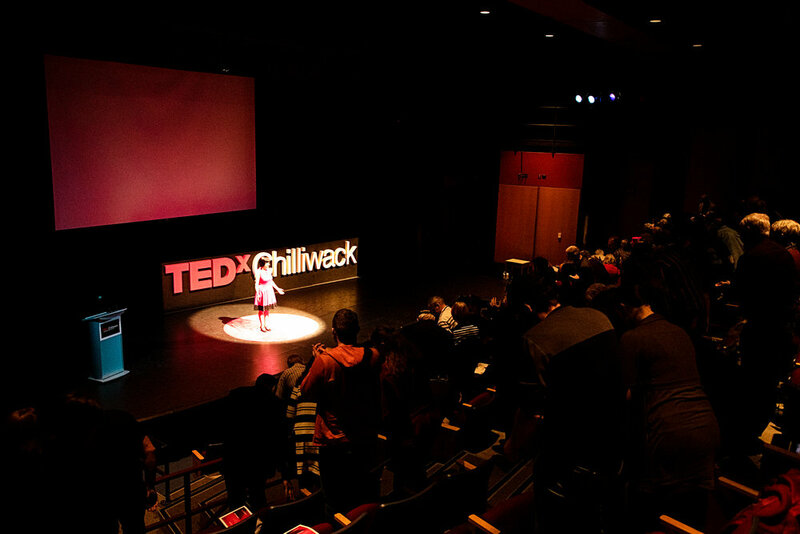 TedxChilliwack is broken into 4 segments of speakers. These segments consisted of 3 speakers, each speaking for 18 minutes on various subjects all based around the singular theme of “On Purpose”. 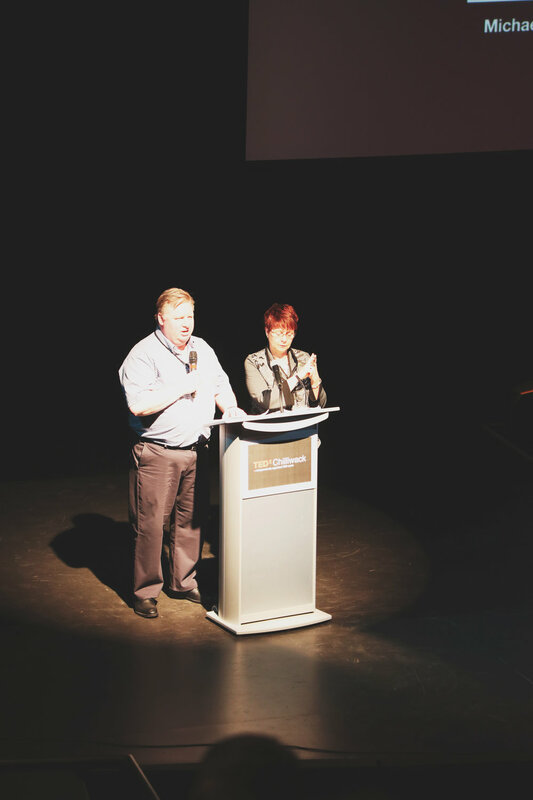 Some of the big highlights featured the Honourable Steven Point, the 28th Lieutenant Governor of the province of British Columbia, and our local science star, biologist Dr. Carin Bondar. 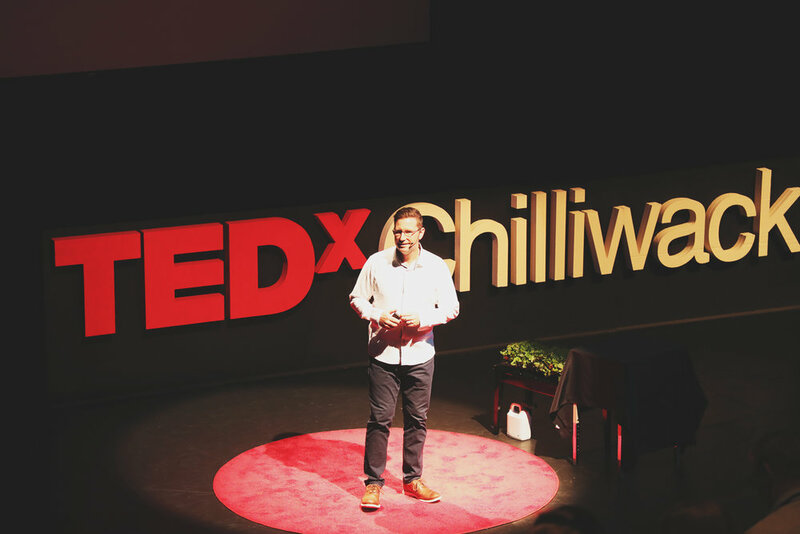 For us, the most inspiring and thought provoking TEDx talk was presented by agriculturist Dave Dinesan. Dinesan spoke about a more efficient way of farming - a way that uses less resources and produces better food. His talk and the samples brought from his CubicFarms were beyond what you’d imagine. The reality that high quality plants and meat could be made available to us with an eco-friendly ability was greeted with applause and a standing ovation from the audience. 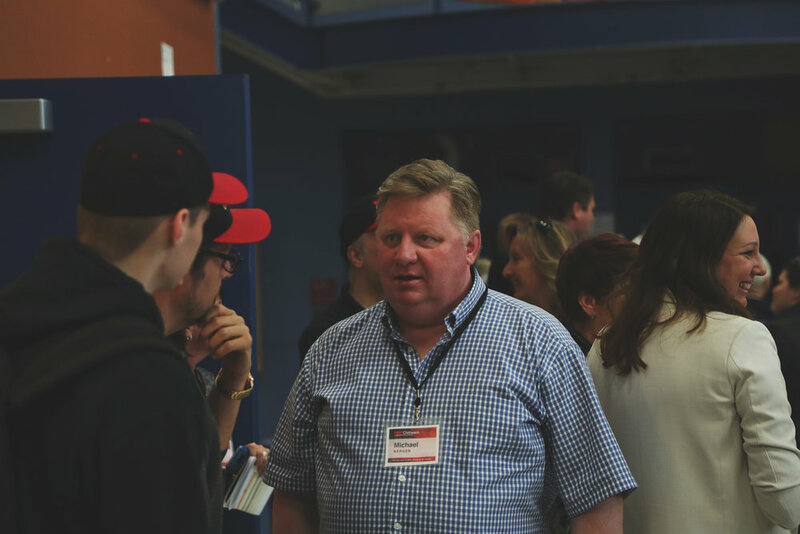 The congenial crowd was friendly and receptive…and the free pizza lunch provided by local realtor, Scot McVetty, was also greeted receptively, as it should be. Live music throughout the day provided entertainment and kept the energy going. Of those live performances, we had our very own Lori Paul and Spiderlodge. Trevor McDonald was also featured, filling in at the last minute. Be a part of a bigger community - a community that is striving to make the world a better place. Learn something new from someone in your community, and learn how you can be a part of what they’re doing. TEDx is part of a network that is worldwide, and taking the stage at a local TEDx event is one way to see your ideas gain more exposure. 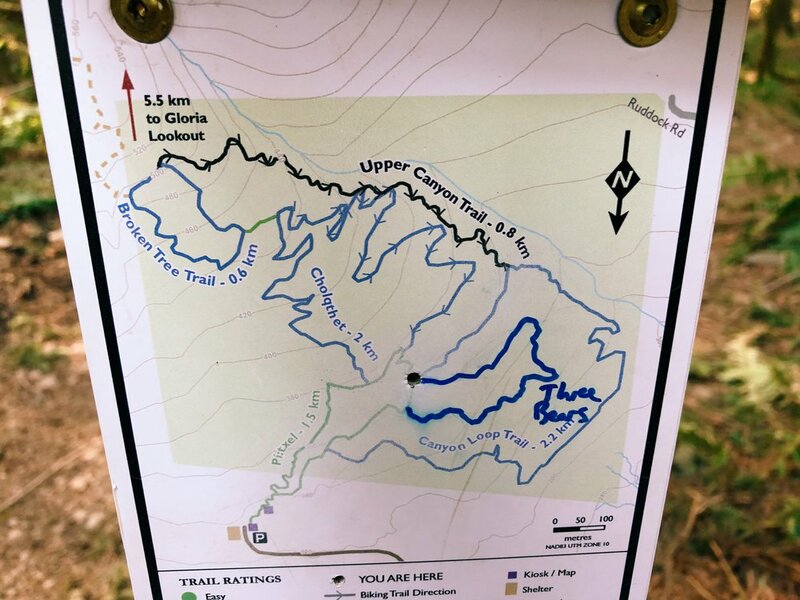 Last week, a beautiful morning was spent hiking through a section of the Community Forest Trails found on the eastern hillsides of Chilliwack (map included below). 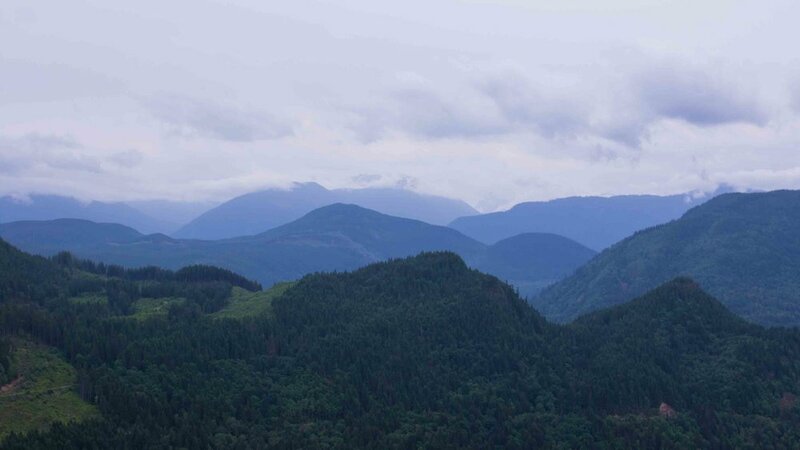 Just 15 minutes out of the city, snaking up the eastern mountain range of Chilliwack, it’s amazing how just 5 minutes off the highway can transport you away from the daily busyness to a solitude of woodlands. Winding up the gravel roads, the entrances to the Community Forest Trails is marked by a large entrance sign and gate (so be aware of what time you are arriving & departing). Once at the top parking lot, there are a number of options for hiking and mountain biking, with varying degrees of difficulty trail options - from trails for experienced hikers to easy trails for little feet that need to be kept busy. Our hike along the Canyon Loop was aprox. 2.2 km long. With winding paths, trickling creeks, and sun breathing through moss-covered trees, the canyon loop called for plenty of pauses to take in all the beauty of nature. At a fairly steady pace with some younger, medium-sized exuberant feet, it took us just over an hour, though other sites suggest it takes about 1.5 hours to complete. Community Forest Trails was set-up primarily with volunteers, and is continuously growing and being maintained by those volunteers. There are maps posted throughout the trail to get you on your chosen trail , but as it seems to be a work in progress with several ingeniously hand-drawn updates, it’s always a good idea to take a picture of the map at the main entrance, just in case you need to refer to it later on at a fork in the path. 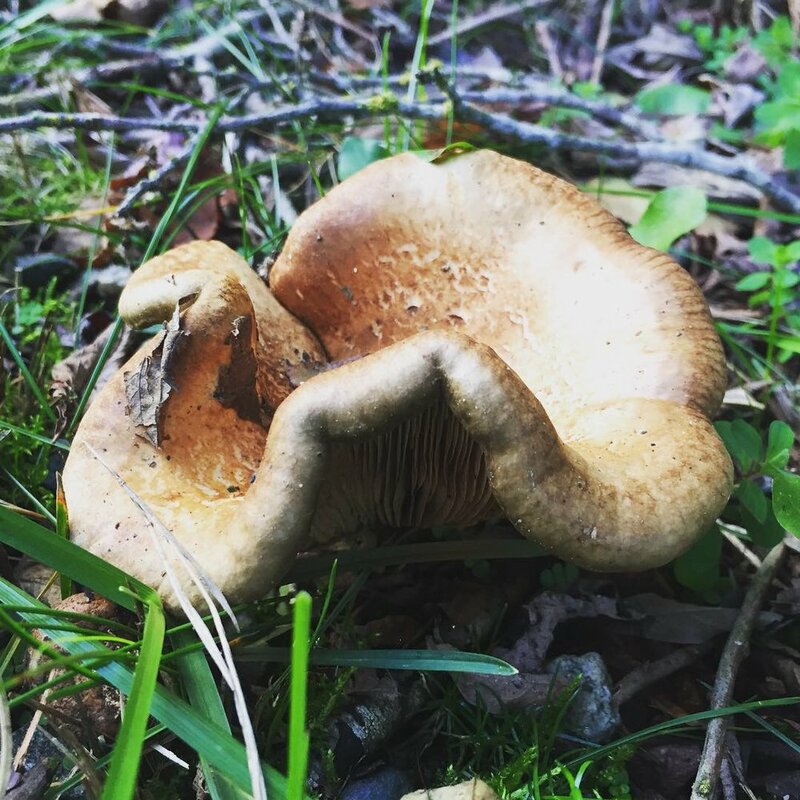 With the number of other groups encountered on the forest trails, we weren’t the only ones enjoying this gem, and it was easy to see why. 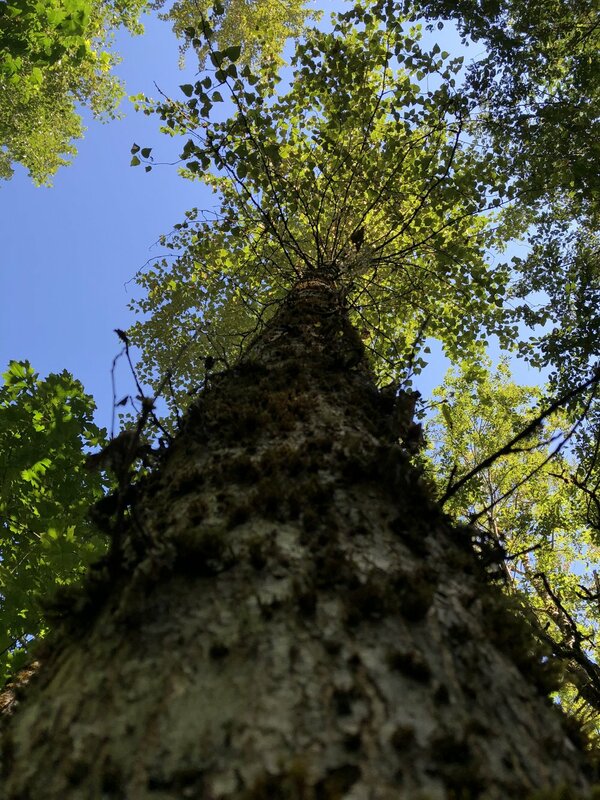 If you’ve never been up to the Community Forest, make sure you add it to your list - there’s something there for all ages. “The trail system is perfect for families or beginner hikers. Pi:txel is 1.5km long and features grades less than 5% and minimal obstacles. 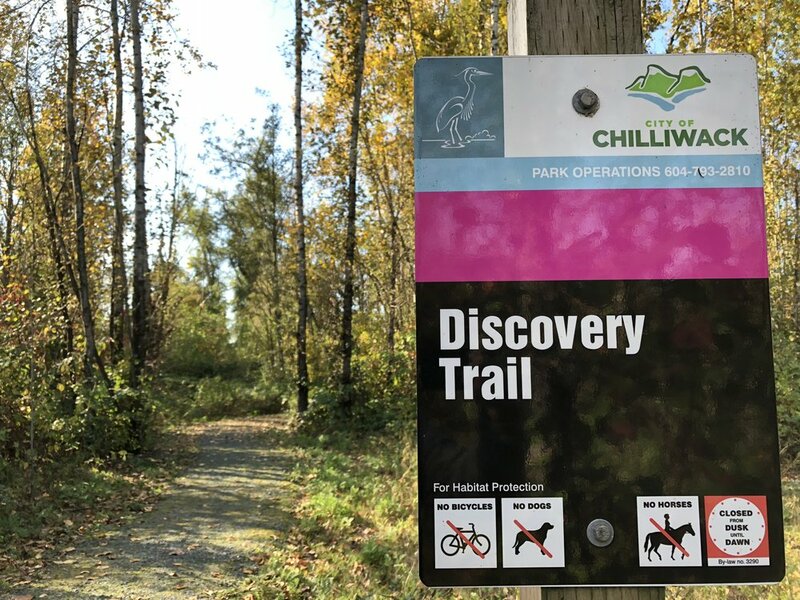 There are many longer and more technical options for the more adventurous, including Cholqthet, a downhill flow trail, and the Canyon Loop a 2.2km cross country trail” (Chilliwack Park Society). 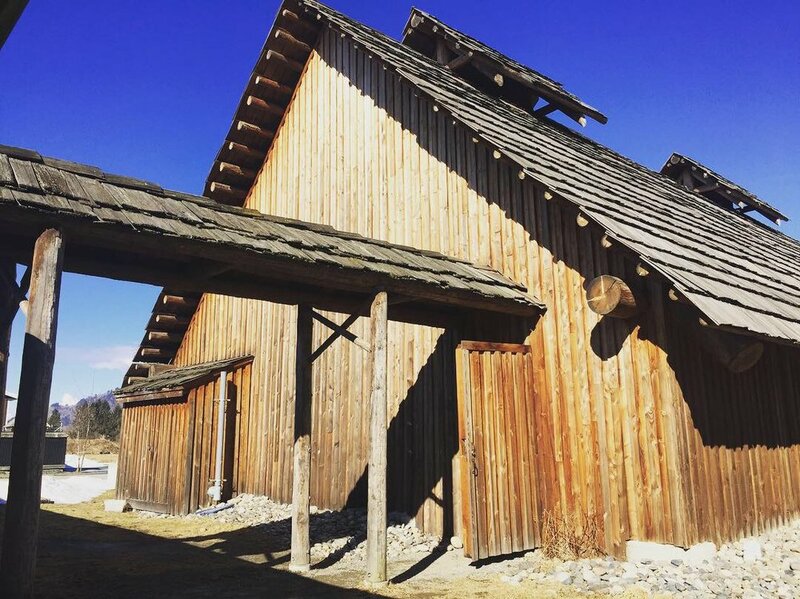 Sto:lo First Nations is always enthusiastic to share their traditions, cultural values, history and stories with the community, with their fairly recently updated Interpretive Centre, the Coqualeetza Educational Longhouse and their Gift Shop, we highly recommend going to check it out. We had the opportunity to tag along on a recent school field trip to enjoy their well-done educational program. Presenters shared stories about their uncles, grandfathers or grandmothers which had the children thoroughly engaged - stories about fishing, making canoes and making nets. Artifacts on display were explained, with the children given a chance to handle some of them. 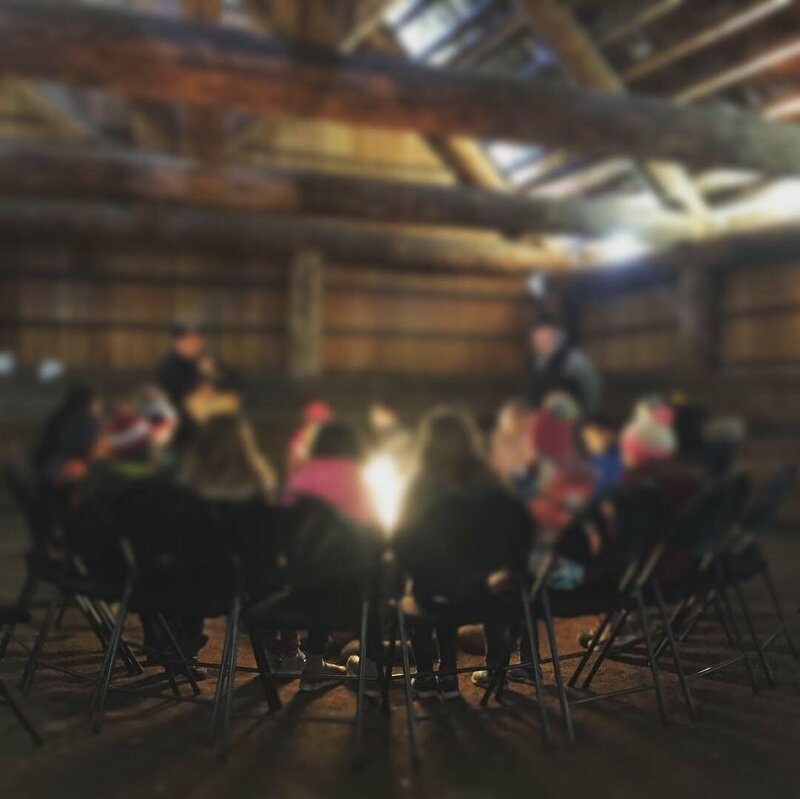 The children also got to participate in a drum circle and learn songs while each playing a drum, enjoy bannock, as well as participate in making bracelets out of cedar. Though we got to enjoy this unique experience with elementary classrooms, Sto:lo also offers an invitation to the general public to participate in their Guided Cultural Grounds Tours, which is available every Thursday, Friday and Saturday, from 1-2:30 p.m. Sto:lo tourism advises to call ahead, even if it is just the morning of, to ensure staff is available for a guided tour. Tours meet in front of 7201 Vedder Rd, Building #10, Chilliwack, B.C. 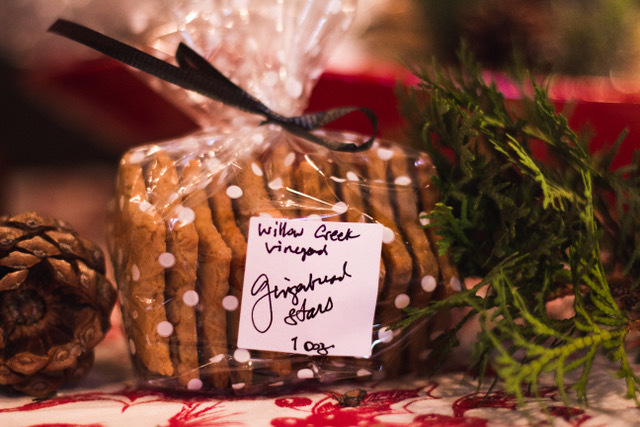 - follow the Gift Shop signs). Visit their website for more details and for contact information. 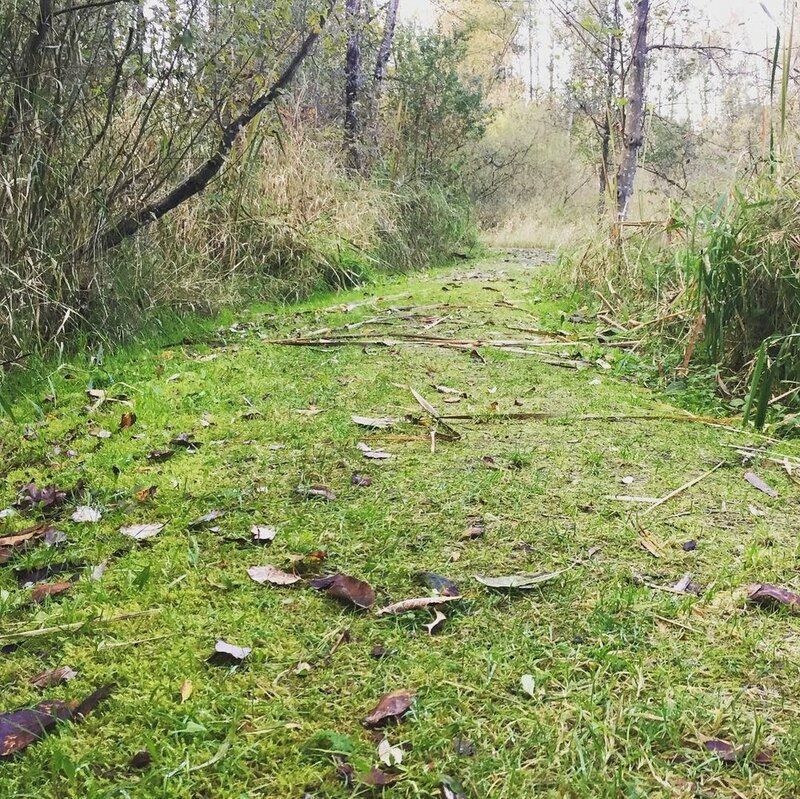 The Peach Creek Rotary Trail offers a peaceful walk along a salmon spawning channel and hosts several viewing benches available to enjoy the view of birds over the marsh, hear the creek babble, spot swimming fish and find evidence of working beavers. 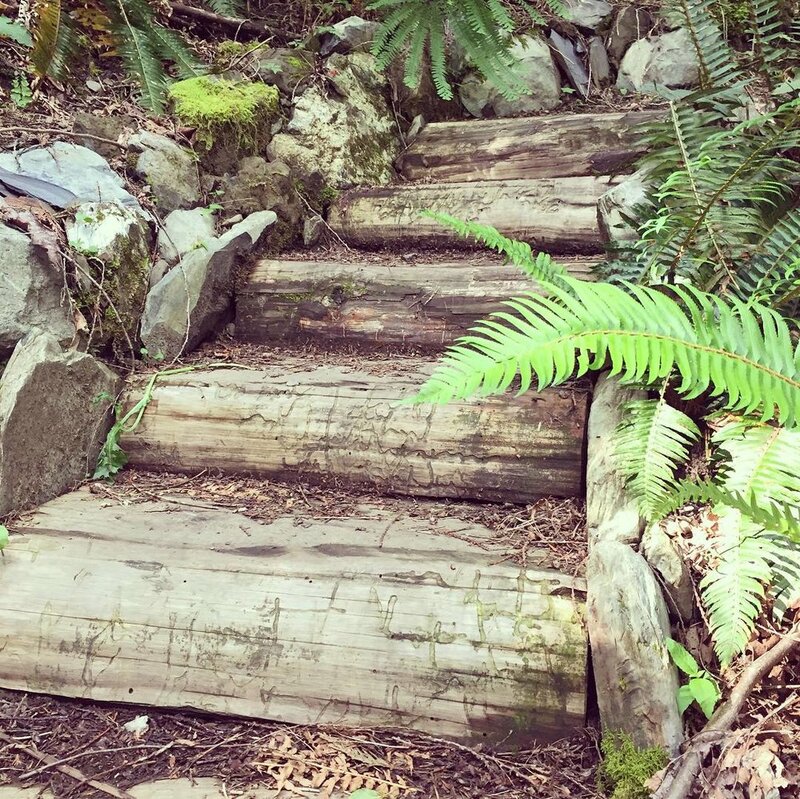 Easily accessible from the Lickman Vedder Parking Lot and approximately 1.7 km long, the level-walking trail is well maintained for all to enjoy. It connects to the Vedder Rotary Trail at two points to create walking loop, and also connects to the Vedder North Dyke Trail at several other few points. Peach Creek and the surrounding area is a popular stop for a wide variety of people. Local schools who participate in a salmonid learning program often visit the creek as it offers several marked areas along the creek where students can easily release their salmon, and with the Vedder River so close and easily accessible, it is the perfect stop for a Sunday riverside family picnic. 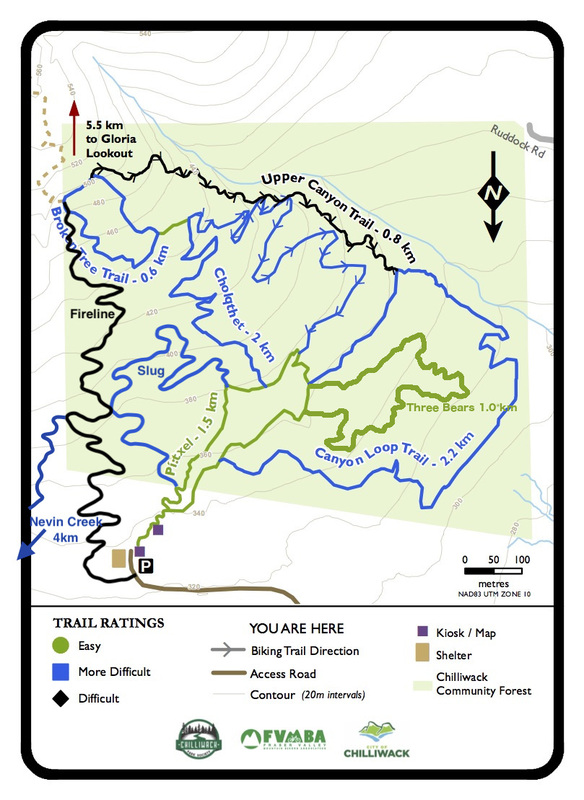 Click here to view a trail map of the surrounding area. Washrooms available at the parking lot and along the Vedder Rotary Trail. 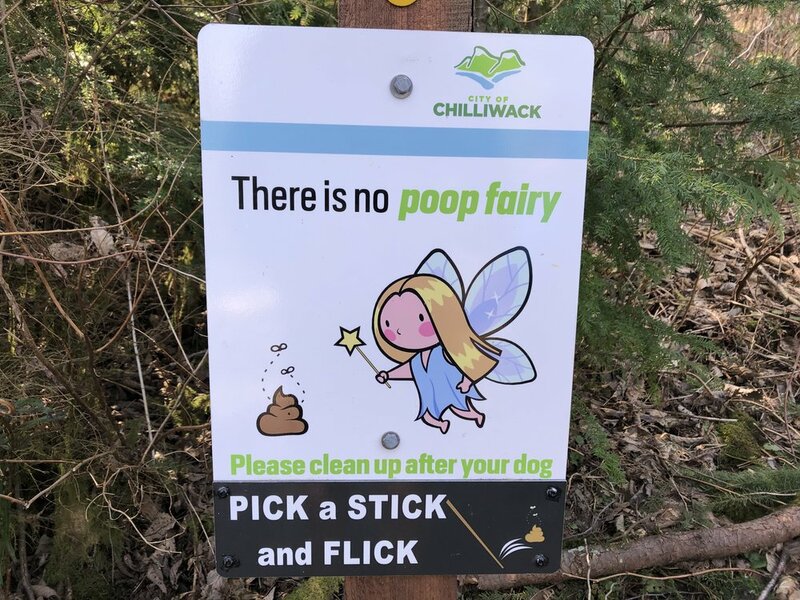 Visit the City of Chilliwack’s website for more information. 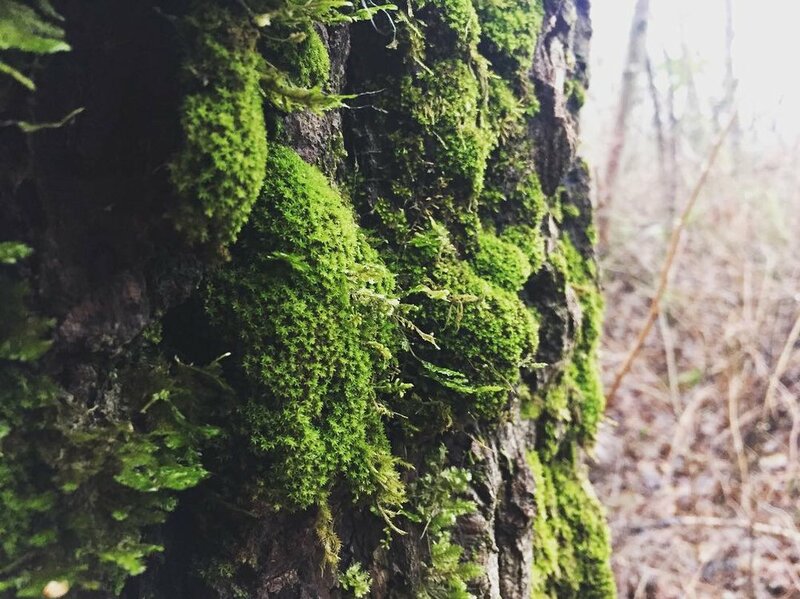 With an expansive collection of well-maintained trails, many of them graveled and smooth, the Great Blue Heron Nature Reserve offers an easy place to still enjoy the outdoors, even in inclement weather. We spent a rainy afternoon exploring the Vedder Rotary Trail East Loop, and managed to still come home with our toes dry! To take the East Loop trail, follow the Centre Trail to the end and take a left. This new trail takes you through the woods, past our “forest friends” (see photos), under the train tracks and along the Vedder River. There is a small, woodland trail that runs along the Vedder Rotary Trail at some point, but for the sake of dry feet, we stayed on the Rotary Trail. To get back to the Great Blue Heron Nature Reserve (GBHNR) you can cut through the parking lot and take the North Dyke Trail back, or turn around and head back along the same route. This loop is about 3.6 km and took us about an hour to complete. Explore the nature reserve through their map online or download it before you head out on the trail! The GBHNR has an Interpretive Centre, gift shop and washroom run by volunteers. There are also outhouses available along the Rotary Trail, in case you’ve missed the hours they are open. The GBHNR also runs education programs, tours and has no admission fees. 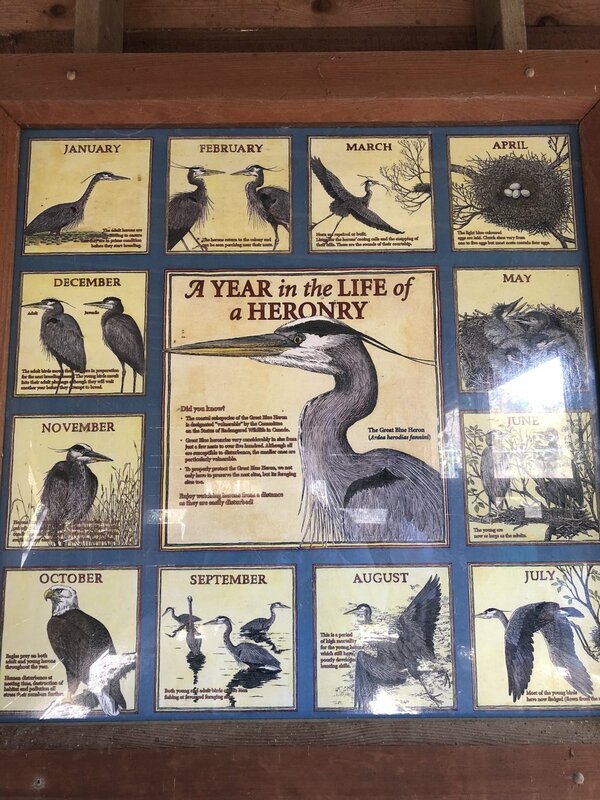 Though home to over 95 nests, the Great Blue Herons don’t nest until the end of February/early March (GBHNR, 2015). 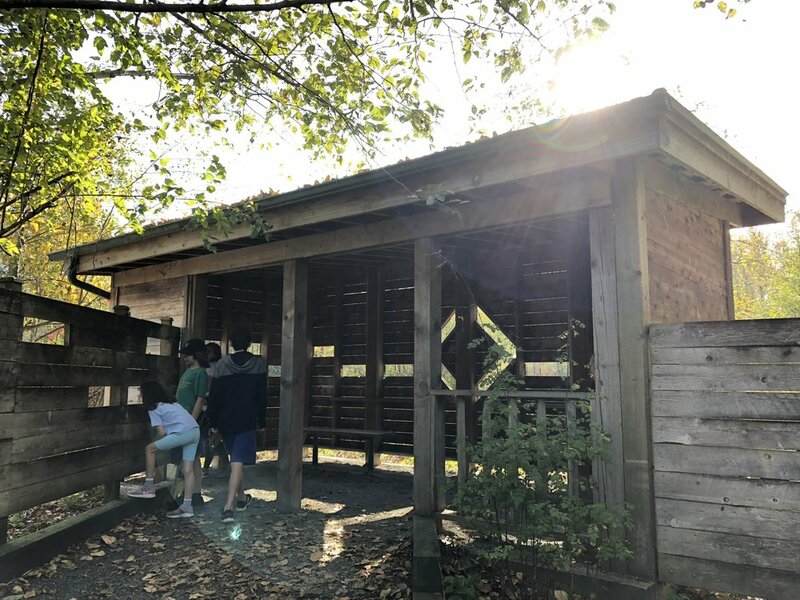 With a lookout tower and various blinds, the nature reserve a great place to see herons, ducks, birds, frogs and other wildlife, as well as a popular place for photographers and for family photos! The GBHNR Society also runs some fantastic educational programs that we have experienced first-hand. Be sure to visit their website to view their hours, programs, trail maps and blue heron info. There is no better way to spend an afternoon (especially a clear sunny one) than hiking up a local mountain that has a lookout over our beautiful city and a view of our mountainous horizon. 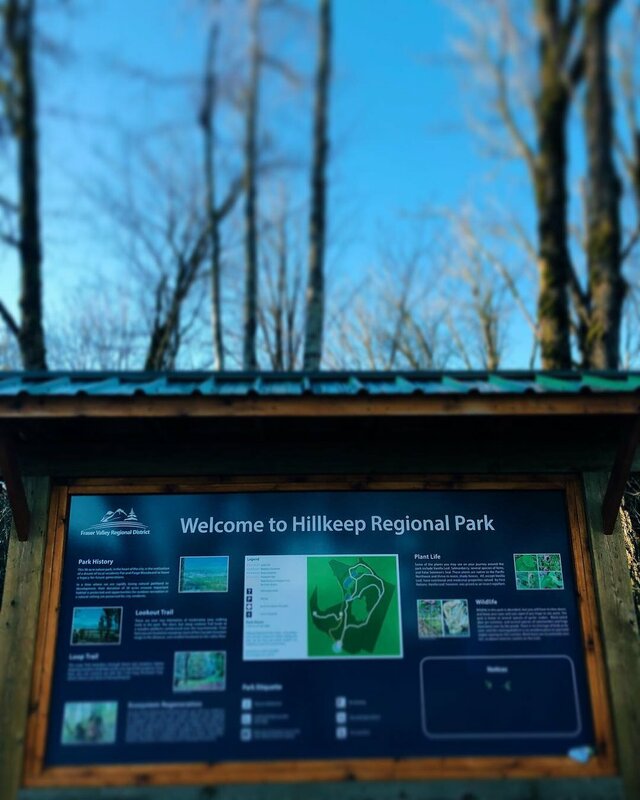 Hillkeep Regional Park is located at 43357 Hillkeep Place (map below), situated on the top of Chilliwack Mountain. This 36-acre nature reserve is land that was donated by local residents and is the perfect habitat for nature walks and bird watching. Into photography? Have your camera ready for when the light comes through the trees just right to capture the perfect shot. There are 2 trails available; both are fairly easy walking for all members of the family. Though well groomed, they may not all be suitable for wheelchairs or strollers due to the steepness and width of trail in some sections. 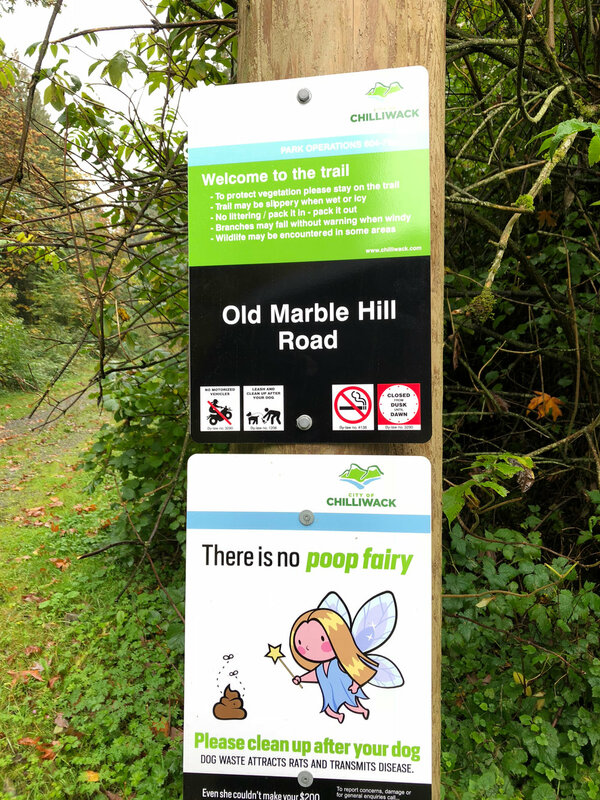 The first trail we took is a 2 km loop trail that meanders it’s way across the northern side of Chilliwack Mountain and was about a 45 minute walk. In the winter, with the trees barren of leaves, you get glimpses of the Fraser River rolling through the valley. The second trail is a short 20 minute walk round-trip and leads to the lookout point on the south side. Thought it is a bit steep and in short sections, keep a look out for a small and unique stone staircase, which we fell in love with. At the top, there is viewing platform offering a panoramic view and a visual guide pointing out the various mountain tops across the valley. On a sunny and clear day, time seems to stand still as you soak in all this valley has to offer, with Mt. Cheam looking majestic off to the east. If you’re an avid geocacher there are a number of geocache locations available, including one from the Fraser Valley Regional District (FVRD is the organization that has taken over the maintenance of this location). Geocaching is a great way to engage kids, and those young at heart. Geocaching involves geo positioning (there is an app available for download on your smart phone) to look for hidden “treasures” and log books - an activity that invites the user to explore new trails, parks or even their own neighbourhood in search of these little caches. 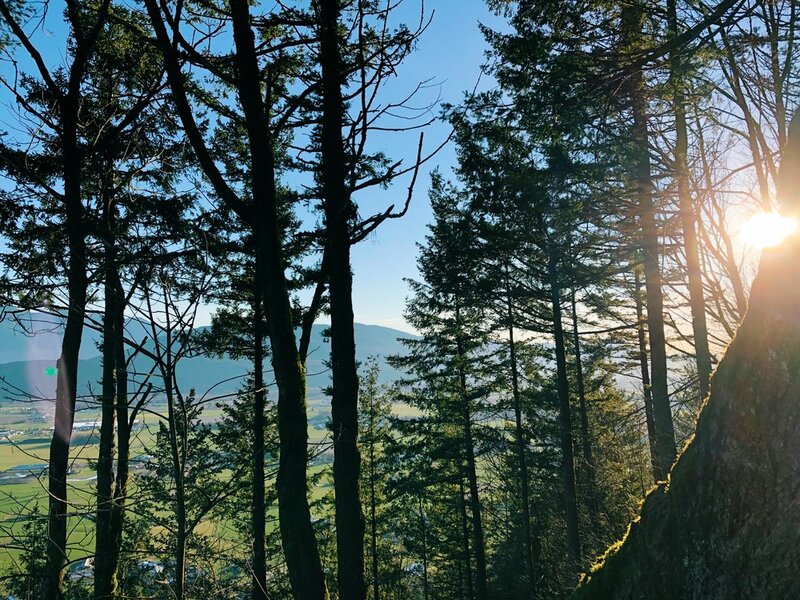 As the park is also a nature reserve, please don’t wander far off the trails to preserve the land for local wildlife and the douglas firs and plant life that have taken residence atop the mountain. 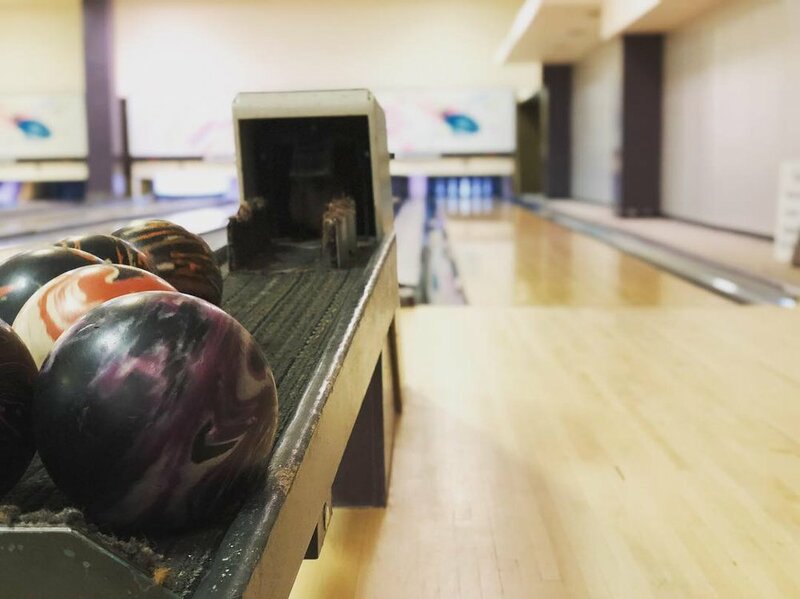 Step back in time as you listen to the sound of pins crashing while parents cringe at lofted balls, unsure of where they will land, and everyone yelling at gutter balls while having a great time. Enjoy a cold beer and snacks while wreaking havoc down the lanes at Chillibowl Lanes at 45916 Wellington Ave (see map below) in downtown Chilliwack. Show off that bowling follow-through that you never knew you had and spend a nostalgic afternoon with your family, date or friends. The two floors of bowling offer two different experiences. Downstairs you have 12 lanes of your traditional 5 pin bowling, while upstairs offers you 12 exciting lanes, complete with disco lights and music! 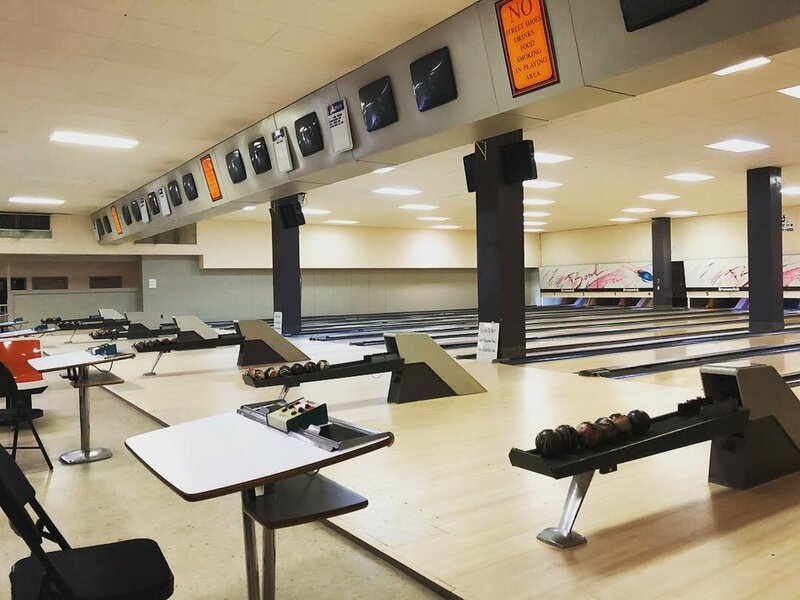 Be sure to look at Chillibowl Lanes when you’re looking for a high action venue to plan your next party or event. A very short walk from a dead end road off Marble Hill Road will lead you up to the Eastern Hillside Neighbourhood. This trail has been used by locals for years, but recently was made an official city trail where they have built an extended trail section connecting to different areas of newly built subdivisions. See more from the City Website here. This walking trail was once the original Marble Hill Road until a slide occurred in the early 1990’s, taking out a good section of the road. The city found it in their best interest to reroute Marble Hill Road to what it is today, and the old road was blocked off and left for the locals who often found the quiet old road a perfect place for weekend and daily walks. We here at Around Chilliwack have a personal connection with this old road, as one of us has many childhood memories where we could escape the world in an exploration of nature, go on short hikes, read books on a blanket amongst the grass, and eventually, many years ago, go on fireside dates together. 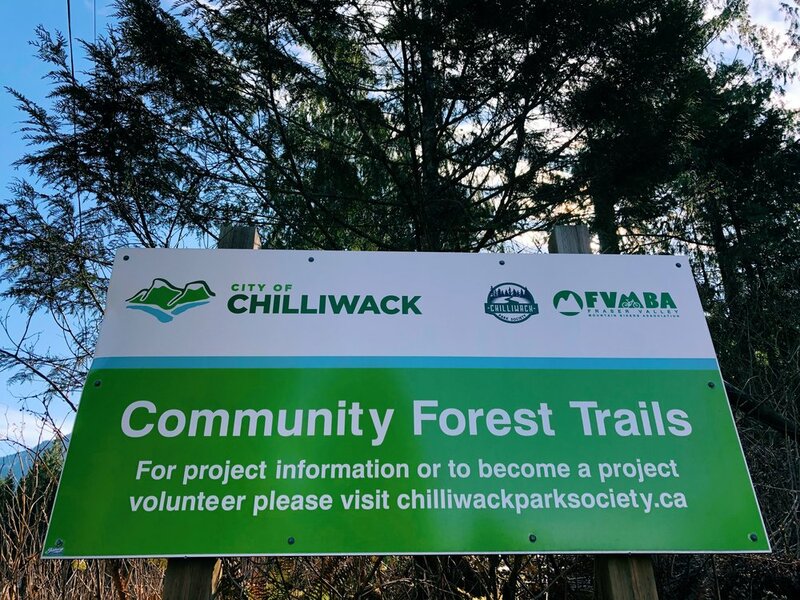 We are excited to see this trail recognized where more people in Chilliwack will get the chance to enjoy the serenity we found on that quiet trail. With the trail’s growing popularity, the City has taken over the upkeep and maintenance to ensure a lasting spot that can be enjoyed by locals and visitors alike. With the City’s support, natures’ natural erosion can be recognized behind the safety of guardrails, parking is now available, and signs are placed to guide you to the trail’s starting point. The trail itself is short, so for an extended walk, we recommend starting from the bottom, walking through the neighbourhood at the top and then zig zag your way down through the new section of trail and back down to the bottom. Even with the trail’s incline, this walk should still take you well under an hour. Unlike the childhood freedom we enjoyed well over 20 years ago, you now must stay on the trail to preserve the vegetation, there is no smoking or fires allowed, no dirt bikes or quads allowed, dogs must remain on a leash, and as always, please remember to clean up after your dog and watch out for wildlife. 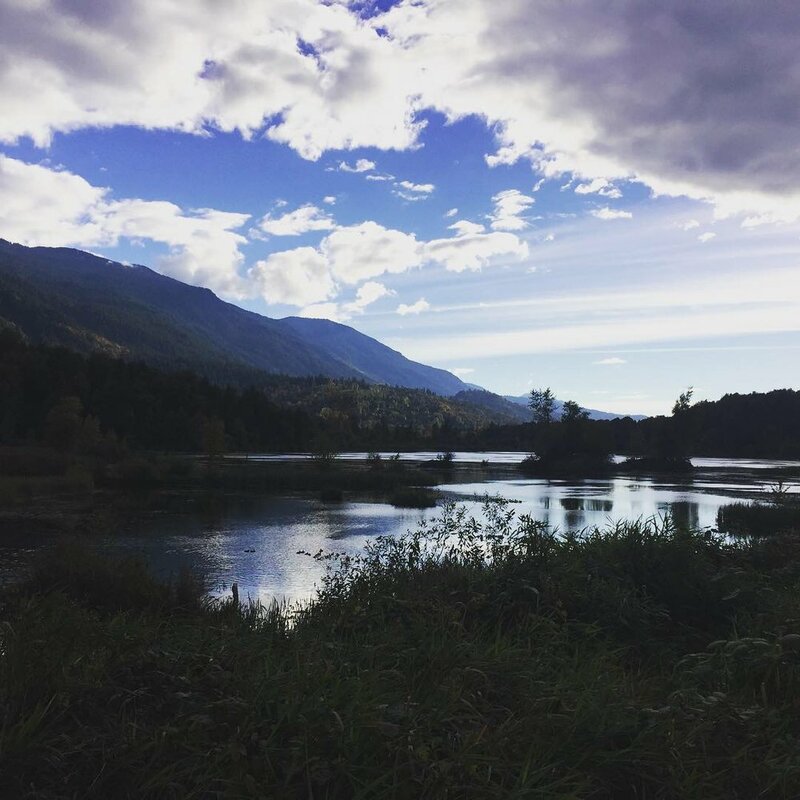 The Great Blue Heron Nature Reserve in Chilliwack is a not-so-hidden gem for bird watching, walking, a picnic or family photos, year round. Located on the south end of of Sumas Prairie Road, the Nature Reserve has several kilometres of walking trails, bird blinds and a viewing tower. The south end of the trails even connect with Vedder River Rotary Trail which is an 8km trail that follows the north side of the Vedder River. In addition, there is the Rotary Interpretive Centre which is run by volunteers throughout the year. The Interpretive Centre was built and donated to the city of Chilliwack through the Rotary Club of Chilliwack. It hosts a variety of learning tools, as well as a small gift shop for visitors to stop in and enjoy. There are variety of programs that the Nature Reserve offers, including various homeschooling programs, school field trip classes, summer camps for kids, various painting classes and of course self guided tours throughout the kilometres of trails. 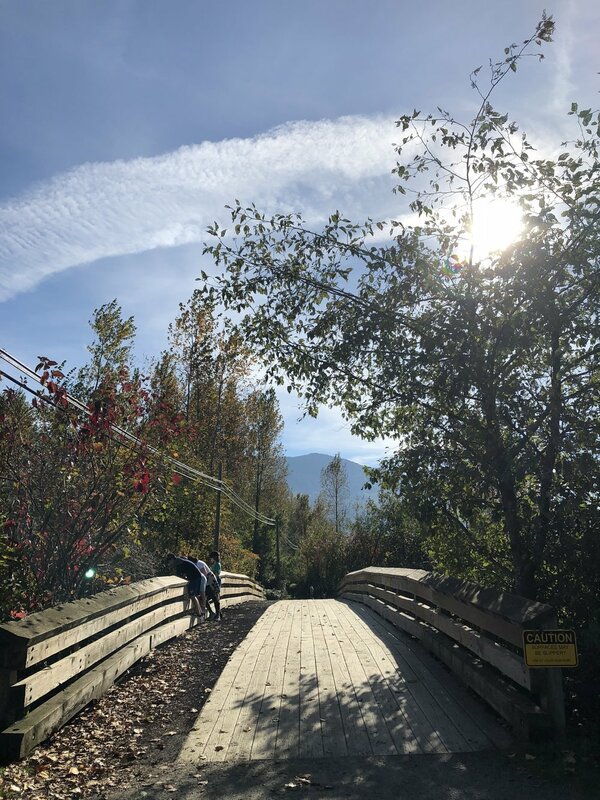 The Great Blue Heron Nature Reserve is a not-so-hidden gem in Chilliwack, it’s a perfect place for every bird watcher and kid alike. Pack a picnic lunch, walk the trails, look for Heron, Bald Eagles, Owls, or sit on a bench and various water fowl. You’ll have a great day regardless of what you decide to do. 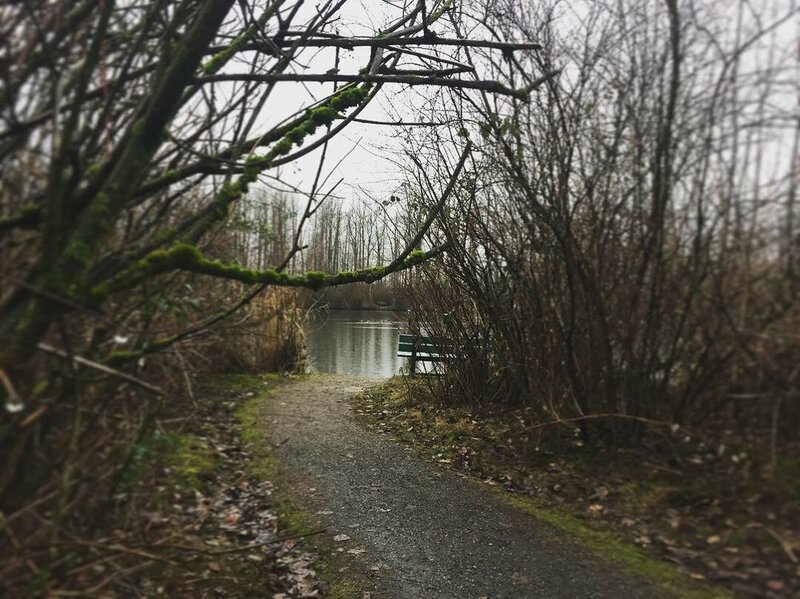 Cheam Lake Wetlands has three walking trails that wander throughout the different sections of this preserved wetlands to showcase its natural beauty, while ensuring a safe habitat for its forest, marsh and lake dwellers. Each trail is easily accessible and has minimal incline, making it a leisurely walk for the entire family. To the left of the parking lot, the Loop Trail, currently full of autumn colours and featured in our photos, takes you along the lake and through the marshy areas where well-maintained bridges keep your feet dry and provide you with a view across the marsh which is set against our beautiful mountains. At a brisk pace, this walk took us about thirty minutes, which could amount to an hour for the little legs of curious children. Two other trails are available near the portable washrooms and Cheam Lake Wetlands sign. Taking the trail straight will lead you over floating bridges to a viewing platform of the lake, while forking to trail on the right will take you through the forest and along the creek, making it aptly named the Creek Trail. 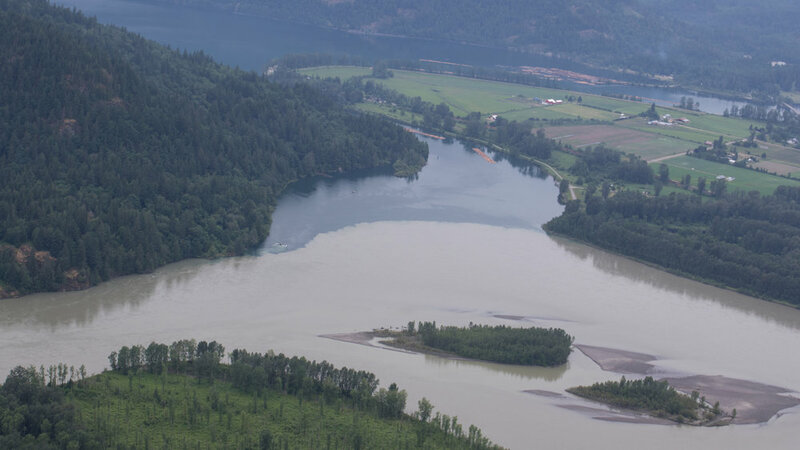 Located east of Chilliwack, in the Popkum area (location showed in the map below), Cheam Lake Wetlands is quoted to be “popular for walking, picnicking and bird watching and is home to many insect, mammal and bird species” on the FVRD website, and is part of the British Columbia Wildlife Watch. You can see the common and uncommon bird sightings and various wildlife by following this link to the BC Environments website. Please note that as a restored habitat, no boats are allowed on the water of Cheam Lake Wetlands nor are any dogs permitted on site, on or off leash. 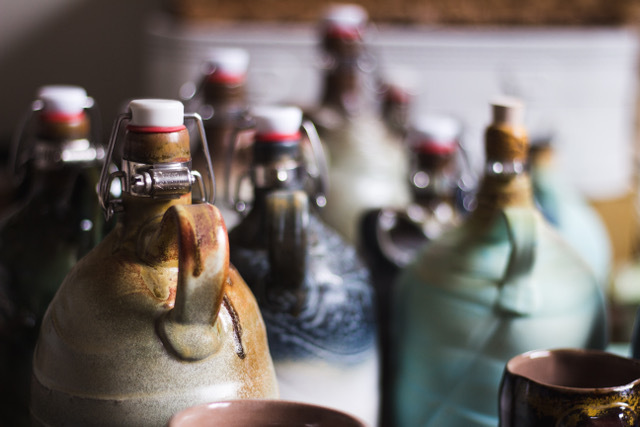 Come and learn more about the untold stories of Chilliwack's creative economy. 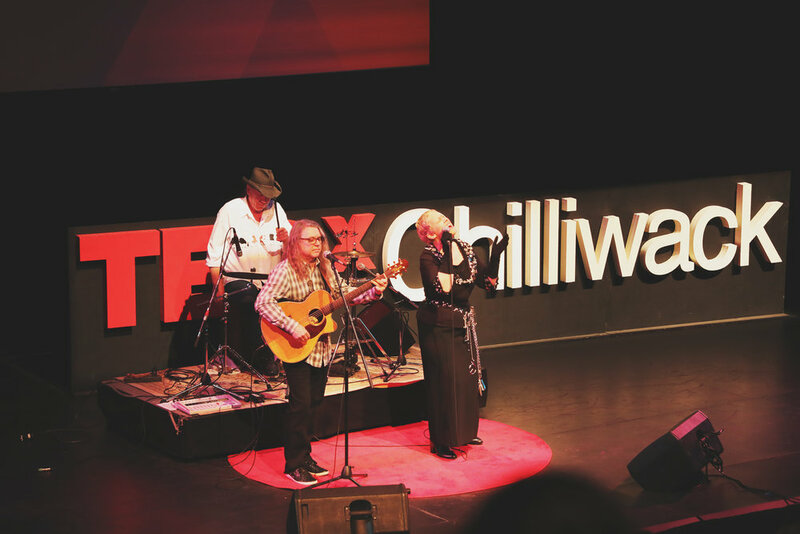 The fourth annual Creative Chilliwack is a free event and will feature local speakers each with a unique story to tell delivered in a very unique format. 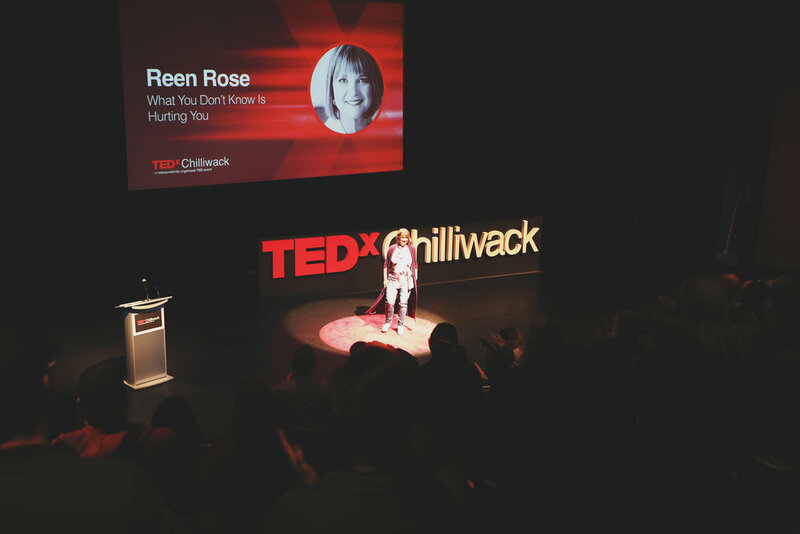 It will be fast-paced, insightful and inspirational and the members of the Chilliwack Creative Commission would like to invite you to attend. Please reserve your spot today as we expect to have a full house. Major League 2, located just off Vedder Road (map below), is well known for it’s Happy Hour specials everyday and it’s extensive list of craft beers on tap. 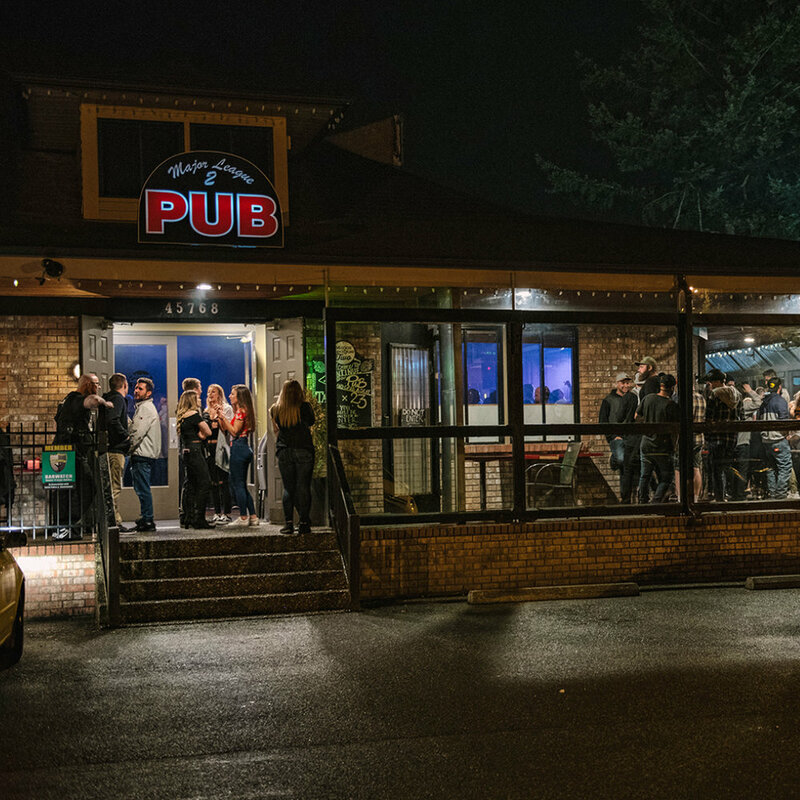 But Friday night it turns into THE place to be in Chilliwack. With an all new dance floor in place now and the music still pumping, a good night with you and some friends is bound to happen. 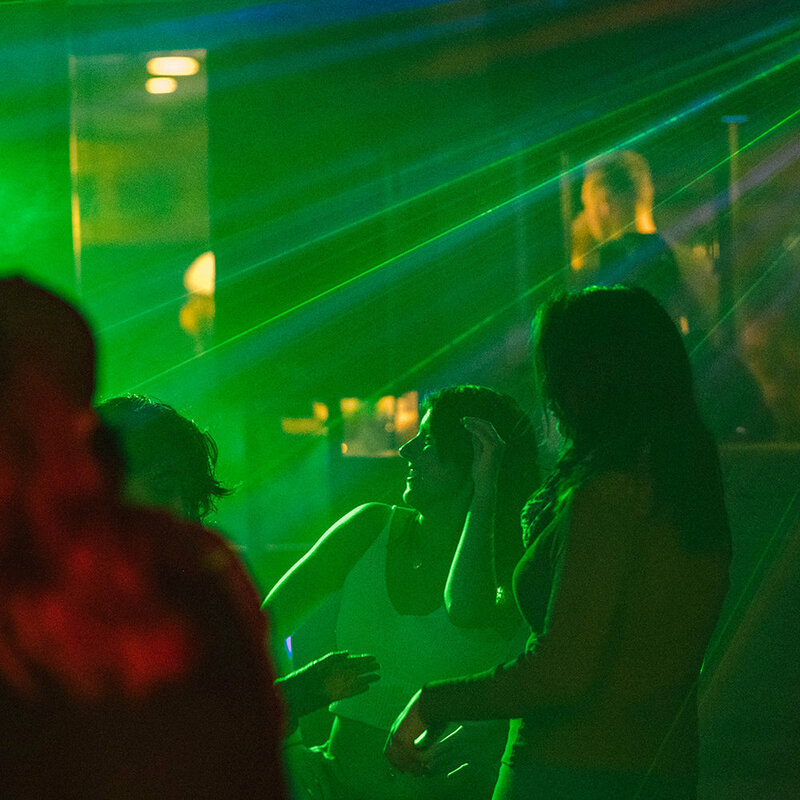 Widely considered the best party in town; the drinks are cold, music loud and great times guaranteed. Come on out every Friday night, ready for a great time. 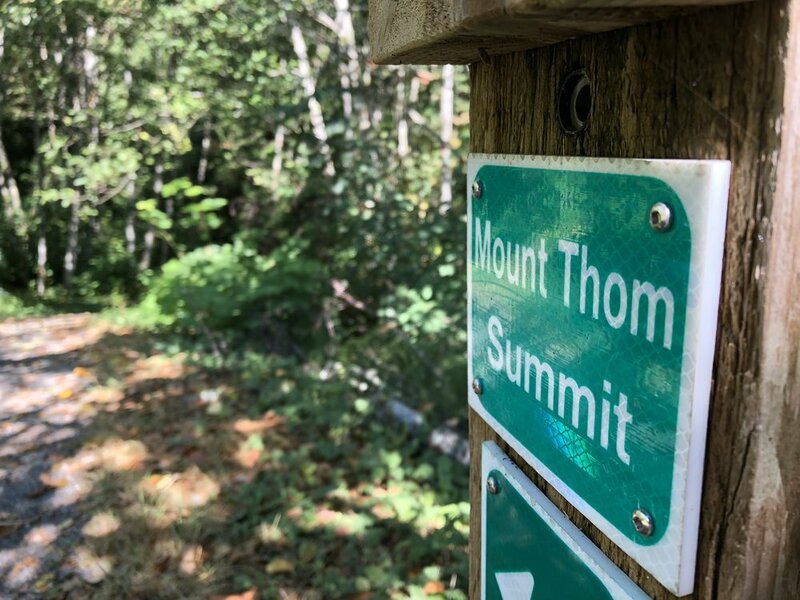 If you're looking for a quick hike with a view to take the family on, then head on up to Mt Thom Park, just east of Promontory, up in the quiet community of Ryder Lake (map below). With numerous scenic trails to spend an afternoon exploring, we often pack a snack or lunch and take the 45-minute Lookout Loop Trail to overlook our beautiful city. 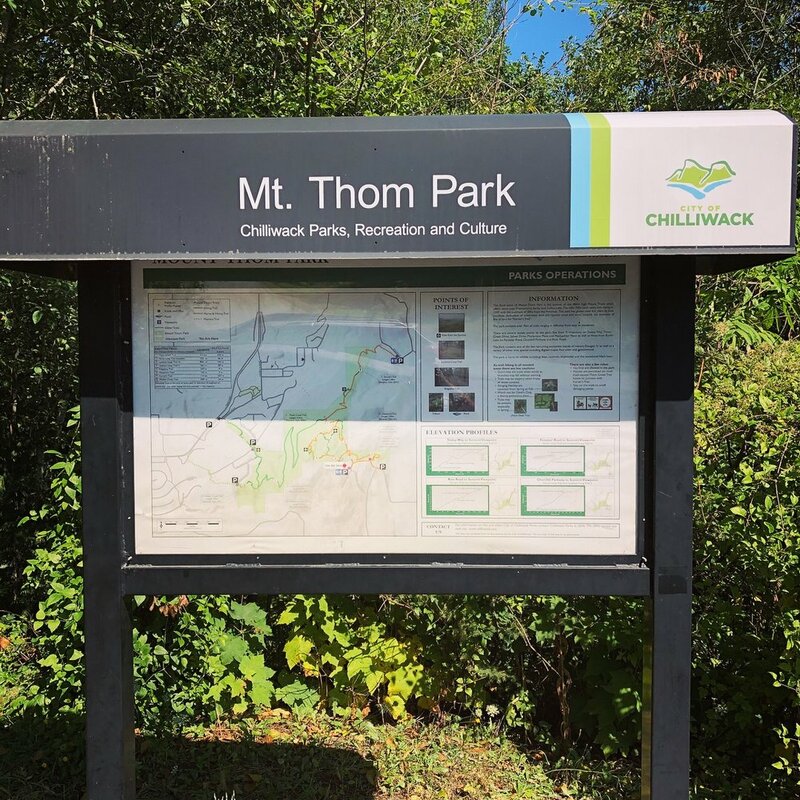 "The park is a 70 hectare wooded area, including the summit and slopes of the 484 metre Mount Thom which offers spectacular views of Promontory and Cultus Lake." - City of Chilliwack website. The area is stunning with its trails cutting through the lush West Coast rainforest and leading you to the summit of Mt. Thom. There are multiple access points and trails, which offer varying lengths of hiking, depending on your choice. 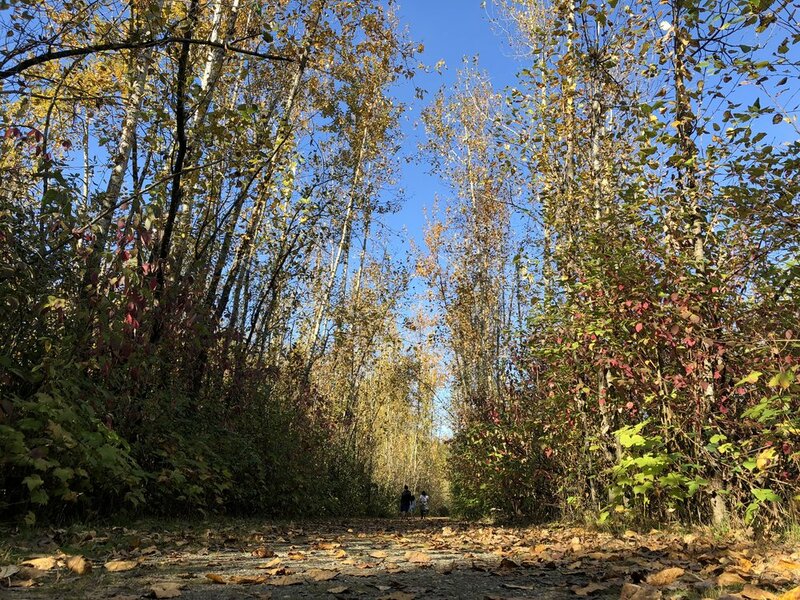 For those wanting a longer trail or even an excellent workout, try running up the trail that starts in Promontory; or, if you're looking for something a little shorter and easier, load up the kids, dog and grandparents and start from the parking lot in Ryder Lake. Looping trails slowly walk you through ravines and gullies as you breath in the fresh air, while horse, rider and hiker alike can meander through the Horse Loop Trail. Bring the binoculars because if you're quiet enough, you may just catch a glimpse of the neighbouring wild life. For more information on the amenities, difficulty level, maps and trails connecting to Mt. Thom, visit the City of Chilliwack’s website here. We are fortunate to have such an incredible resource in Chilliwack at three different locations. The Fraser Valley Regional Library (FVRL) holds a wealth of books, magazines, music, DVDs and even graphic novels and puppets! 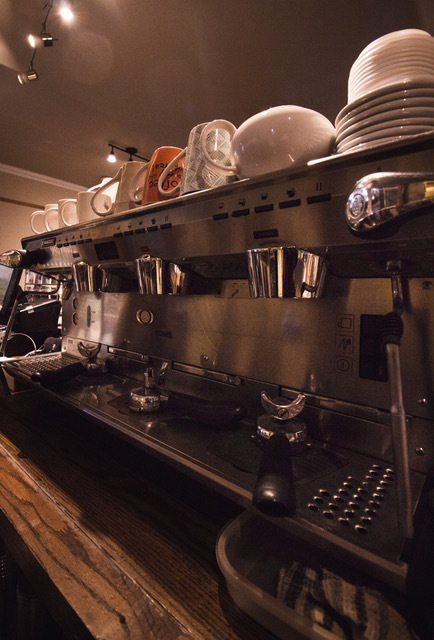 With its tables, desks, computer and internet access and comfortable seating options, the downtown Chilliwack location is also a quiet place for students of all ages to work on their studies. 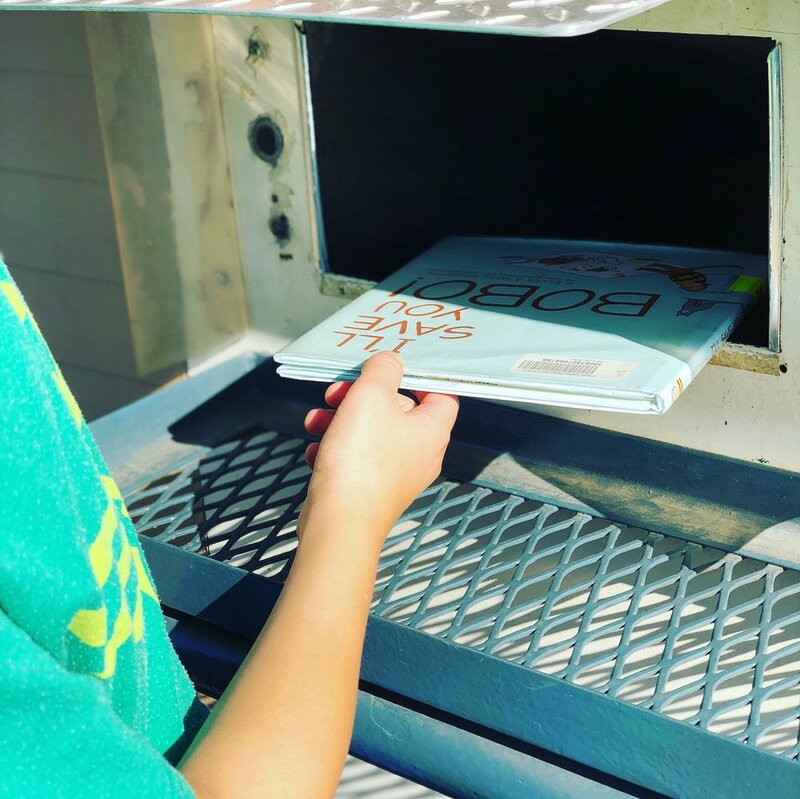 Return your borrowed books easily (and hopefully on time to avoid that late fee!) with the conveniently placed drive-up drop-off slots. We also love how the FVRL stays current by offering “grab bags”. These bags contain five books based on a genre or age category (i.e. picture books, early readers, romance, mystery, etc. ), making a two-minute visit to the library possible on those extra busy weeks. Easy returns and easy borrowing…one of the many reasons we love our local library. Another feature we love about the FVRL is their online catalogue and downloadable audio books. Head to www.fvrl.bc.cawhere you can easily search for specific item or browse their categories. Once you log in with your library card, you will be able to place a hold on any item and they will let you know when it's available for pick-up or download. Keep an eye on ongoing events available in all their locations throughout the Fraser Valley - fvrl.bibliocommons.com/events/search/index. From toddler meet-ups to ukulele circles, there’s something for everyone. Be sure to grab that book bag and library card this week and book a visit to your local library! 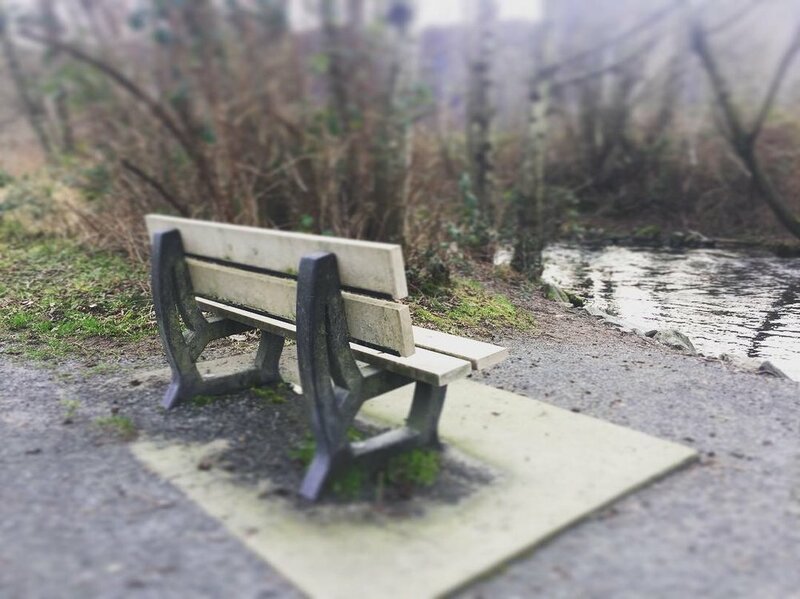 John Martin, Chilliwack MLA, shares a little gem of a park and walking trail in Chilliwack. There is an amazing display of nature that happens at Ryder Lake at the start to each summer. Toads migrate from the forest area into the wetlands, but with a busy roadway in the middle of their path. The road has proven to detrimental to the toad population in it's obstacle. The Western Toad Migration that occurs in this area has been shared around the world. Including a video that was done locally (see below) by our own Chilliwack biologist: Dr. Carin Bondar. 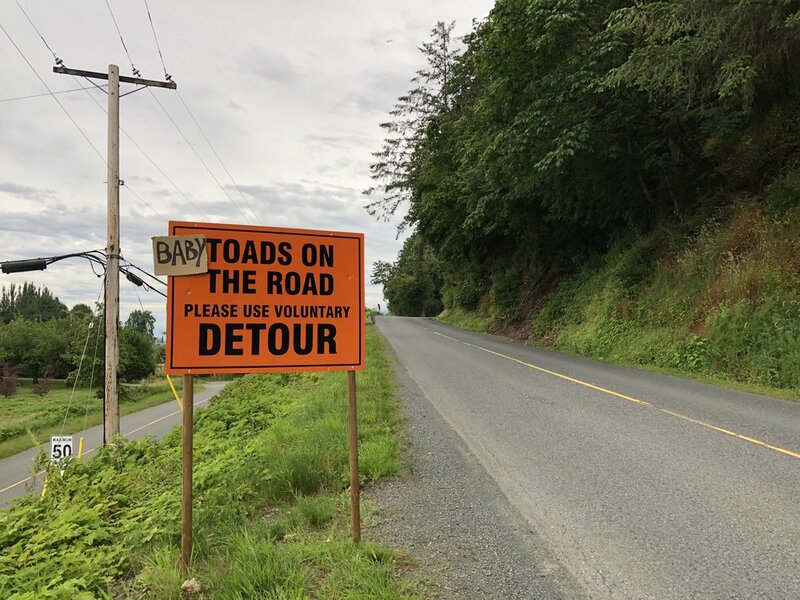 Since the video was recorded, new measures have been put in place, including fencing to divert the toads towards a crossing that goes underneath the road. It's quite something to see all of these 'baby' toads crossing the street to get to the other side. It's a great way to help see the little things going on around our neighbourhood and how taking a small detour in your day, can make a big deal. Brought to you by the Downtown Chilliwack BIA and Trevor McDonald. It's going to be a great summer. 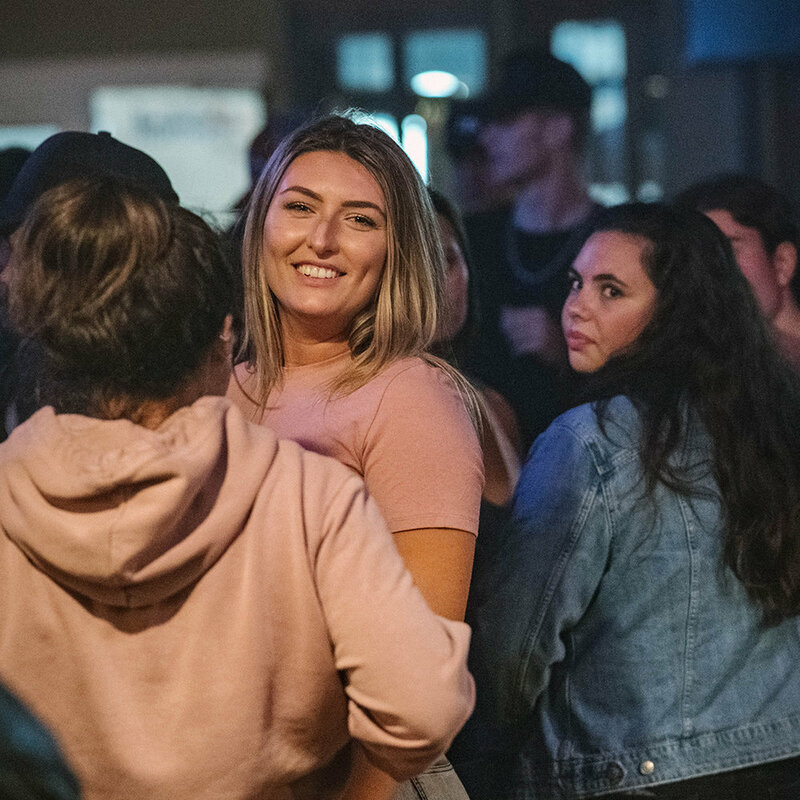 Every Friday night in July, come on down to Community Park in Chilliwack to hear local talent, visit the pop up shops and local businesses, plus the food vendors, busking and street patios! 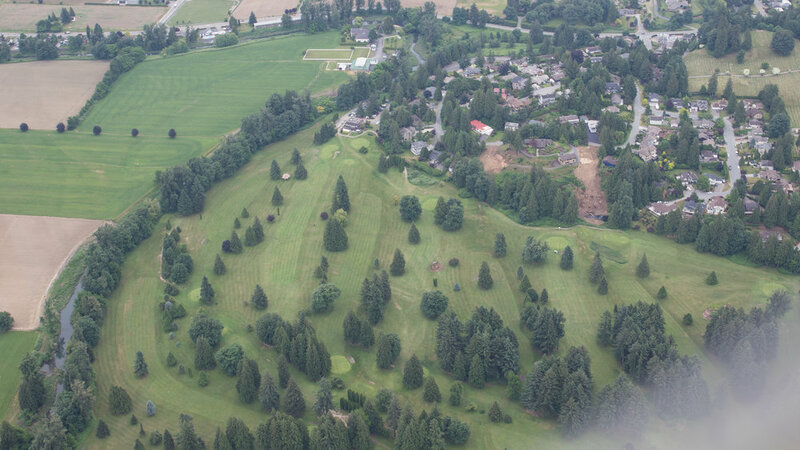 We recently took a scenic tour flight with Principal Air based out of Abbotsford (they used to be set-up in Chilliwack, but still fly out here a lot) and we had a great time checking out Chilliwack, Harrison Hot Springs and the Harrison River. It wasn't the nicest of days, but if we've learned anything about living in the Fraser Valley, if you always wait for a sunny day to do something, you'll always be waiting. Flying over the valley this time of year is incredibly green and blue. Looking out over the coastal mountains, the sprawling farm lands and residential areas, you see just how beautiful our area of the world is. If you ever get the chance, go for a scenic tour of our area and see for yourself what a cool perspective it is. You won't regret it! A bit of a hidden gem, Popkum Community Trail located at 53335 Yale Road (map below) is just outside of Rosedale and quickly accessible from the highway. 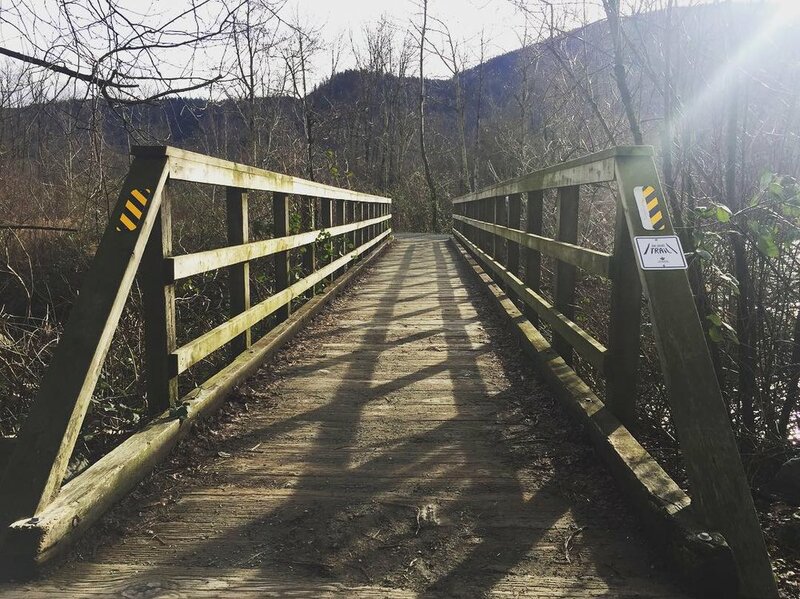 Established in 2015, with help from provincial funding, Popkum Community Trail is maintained by the Fraser Valley Regional District and boasts a short hike through some marshland, up a well groomed and staired hill and stretches out at the end to a view of Cheam Wetlands. 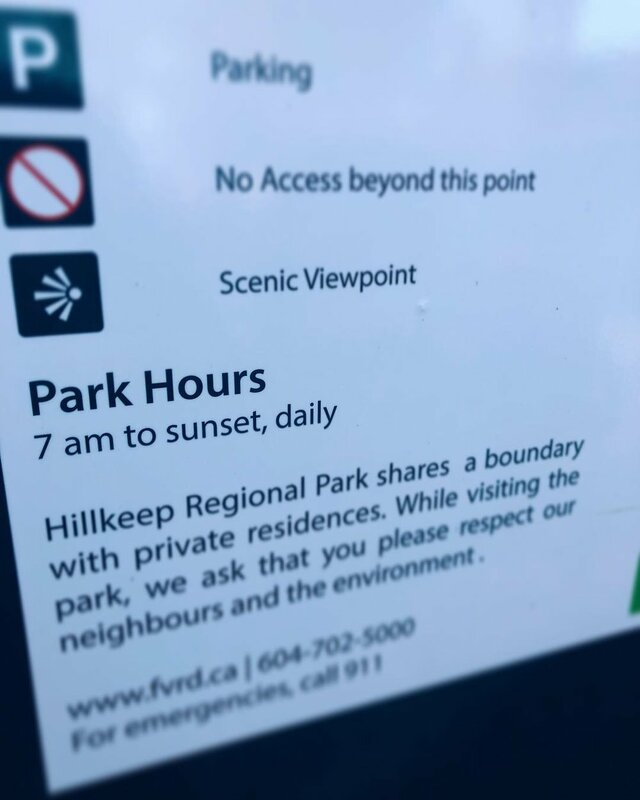 We contacted the FVRD to find out more about the trail and they were happy to provide us with further information below, plus for people with dogs; dogs are allowed but on-leash only. This trail is great for all ages, with a well groomed boardwalk for walkers of any age and a small hill for climbers with younger knees, everyone in every generation can enjoy this trail. The boardwalk goes on for quite a while and has it's own great views, while the hill upwards leads to a small decline and viewing platform of the Cheam Wetlands. It's a great way to spend an hour and explore our beautiful corner of the world. Enjoy, Chilliwack!